We offer Stainless Steel Crash Cart that has a compact design thus ensure easy mobility. 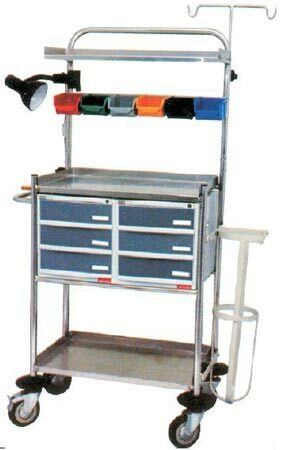 Manufactured from optimum quality raw materials, these Crash Carts are widely demanded by various hospitals, clinics, etc. These Stainless Steel Crash Carts are available in varied specifications to meet the clientâ��s requirement.